The fundamental definition of the word ethics to me is rooted in my background in accounting and consulting and advising. If you give advice for a living you could very easily give ‘bleeding edge advice’. You could tell people how to cut corners, how to take advantage of employees, customers, vendors, etc., or you could try to teach people how to stay within the rails of honesty and integrity. Ethics at Pella starts with our beliefs and drivers. What is the importance of ethics within your organization? About half of my business is my sales reps sitting at kitchen tables with husbands and wives. In many cases both of them work, so when we are there they are making dinner or completing other family-oriented duties. I think that's a sacred thing, letting someone in your house. Because when you are in people's homes it is a very big deal as people will not let just anyone into their home. Honestly, one of the biggest barriers to selling windows is the idea that you will need to have strangers come into your home in order to measure and then do the installation. So, we do everything we can to uphold that level of trust. We clean up everything, every day. Truly anything you can think of we coach our employees to do, so as not to make the homeowners upset. Generally, we like it when the homeowner is around the whole time we are there. There have been instances when something has happened, or we have been accused of something when we are inside someone’s home. However, we always do something to address these concerns in order to protect the brand. Yes, of course sometimes we screw up and we violate ethics and integrity, but then the question becomes: the issue is how did you handle it? Essentially, did we end up doing the right thing? I can say pretty safely that yes, we do end up doing the right thing most of the time. But our main goal is to do the job right the first time. Pella as an organization and brand is so strong that they would immediately change me out if I was behaving unethically. My agreement is actually renewed annually. So, if I was acting too far out of the rails they would identify that pretty quickly because of the metrics the company currently has in place. Do you think there is a difference between personal and professional ethics? I do not think there is a difference between ethics in your professional life compared to those in your personal life. It is my opinion that if you are a liar, then you are a liar at your job as well as when you are at home. Essentially, those who behave unethically generally have some sort of character flaw. However, I think the main difference between personal and professional ethics is the culture of the business environment in which you work. You could have a family where there is one liar amongst honest people and this could be in a business as well, but if you pay a lot of attention to culture then people will more likely behave ethically. I delegate many things and will have my managers make many of their own decisions, but when I see this (Pella’s beliefs and values) get violated I always personally get involved because that is a culture thing. I am the keeper of the culture here at this company. What is the ethical culture of my organization, what is tolerated and what is not? Vicky, my HR manager, could speak to this a lot more than I could as I believe I have top-notch HR talent here at Pella. I am smart enough to know what I am good at and what I am not good at. Essentially, she complements my skillset. For example, I am impulsive and she is not, she will really think about a situation before making a decision. I hear her in my ear at all times and there are times when we will disagree about something, but I think it is really good to have someone with different opinions in order to make and shape the best decisions. We really speak to the beliefs and drivers to develop the ethical culture of our organization. Every quarterly company meeting we bring them up, as well as teach them to all of our new hires. We also have an above and beyond award for someone doing something that usually relates to one of these beliefs or drivers, and this also helps to reinforce the importance of ethics within the organization. For example, one of our employees was installing windows in someone’s home and realized the homeowner’s garage door was broken. This employee took the time to fix the garage door of this homeowner and this is probably not something the homeowner will forget. We also reference these beliefs and drivers when we have to coach people for corrective action.  Can you speak to some of the core business values of Omaha identified by the Ethical Omaha Project of the Business Ethics Alliance (such as Accountability, Community Responsibility, Financial Vitality, and Integrity)? How do these fit into your organization? Financial Integrity and transparency are very important to us. There are some companies that may charge a customer 18% interest on their window installation because they are unable to pay everything upfront. That is absolutely not how we do business. We have financing and try to find the best overall solution for our customers. Essentially, in this industry you are a good used car lot or you are a bad used car lot. As for community involvement, we will usually donate 6 to 10 houses worth of windows. It has tended to be Habitat for Humanityor Josh Dotzler’s Abide. Our employees donate their time and expertise to help renovate a home. I do that for those organizations, but it really lifts morale at Pella to get together and give back to the community like that. What was really clearly easy and what was a really hard ethical dilemma? I have to deal with personnel issues a lot, so both dilemmas have to do with disciplining or letting employees go. The hard ones are also the ones where you are unable to make a decision. I had a good employee who made a big mistake on the job because of a poor decision, but I was unable to fire her because of external circumstances. So that was frustrating because I had to “follow the rules”, but ethically the right thing to do would have been to let her go. The easier ethical dilemmas have to do when someone is not pulling their weight within the organization. You have to know when to draw the line on accountability. If one of my employees is not productive and someone else is working really hard, I owe it to the person who is working really hard to do something. I may start by telling them they need to get their numbers up, but if they are not able to do it then we will part ways. Who was an ethical mentor to you? My Dad was definitely an ethical mentor to me. As far as in business, I had a partner in my previous business who was also an ethical mentor. He was kind of like my big brother. I did not want to deal with all of the internal politics at the organization, so I asked him to watch out for me. He was very good at telling me when I needed to get things done. He was a straight-shooter. I am able to rationalize a lot more than he was, so he was very good at keeping me within tight ethical boundaries. I have very intentionally placed and then kept people in my life in order to serve as ethical mentors. As you get older you'll appreciate having the range of people, those who you want to go have fun with and those who make you stop and think about how they would react to something you did. Do you see a connection between your upbringing and how you view ethics? My dad had his own small business and my wife's family actually owns a family business. So, small business has always been in the blood. In fact, I started a small sprinkler company in college. My dad was also an accountant and I would say very much a straight shooter, he was a better person than me and never a corner cutter. I think we are all affected by our parents and how we grow up. So, yes, I do see a connection between your upbringing and ethics. I would say whether it's ethics, running my business, my marriage, or my parenting, my dad set a very high bar for all of it. As you moved from a functional role into a business owner, has your ethical decision-making process changed? My previous career in public accounting was a consensus management business. If there is a problem you grab several guys, go into a room, and solve the problem. So in that case, it's not just your ethics it's more of groupthink. Then, I get out here, I did not see this coming, but everyone is looking at you. I'm all by myself, so there's that issue and the fact that it's your money. When you’re a consultant it's easy to throw advice around when it's not your checkbook or personal guarantee. I think that's a big thing in public accounting, doing the right thing is more about being honest with that client. Then, when I get out here and I'm all by myself and to have a very big crisis happen within the first few months, it was a very big transition in terms of ethical decision making. Do you prefer making those ethical decisions alone or in a group as mentioned in the previous question? I really like things to bubble up from the bottom, to come from the field. It is very presumptuous of me to tell someone how to do their job. Generally, I will look at the decision and I will look at the talent of the person bringing the decision forward. But at the end of the day I am more comfortable owning the whole thing, but not in a way where I am a bully. I'm very comfortable saying we are not going to bat 1.000, but you have to swing. I would rather swing and strike out, as long as you keep swinging. I have people that won't make decisions because they are afraid of how I will react, but then I try to remind them of this idea. I am very careful not to be heavy-handed with anything, so if I do have a strong opinion I still try to build some consensus. How is winning the BBB Integrity award significant for you? It means a lot to get that award and it matters a lot to us and me around here because we’re in people’s houses. I could sell cars all day long but you’re not letting me in your house...you’re creating the boundaries yourself as the consumer. Winning the BBB Integrity Award; there’s a trust factor with consumers that goes along with that, I think that’s significant.  What are your observations regarding Omaha business’ core values? I think our business community is, generally, way better than most. It starts with Buffett. This makes Omaha a unique place where it’s not cool if your hat is bigger than the next guy’s. Buffett is an honest guy. The culture of Omaha starts with him. Some of the things I hear that happened in other markets I just think, ‘Wow that would never happen in Omaha’. Are there any values that you turn to more often than others when making ethical decisions? I am pretty transparent with the numbers with the management team. As an owner I look at it as I'm not going to burden anybody with the bad and I'm not going to apologize for the good. Last year everybody got a Christmas bonus check because we got a big rebate check and I gave it all back to the employees. This year, health insurance premiums went up by a lot, so I ate the whole thing and then sat them all down and made them aware of what was happening. I want them to know how we're getting through everything. I'm pretty honest with them and we have gone up and down together. The 2008 recession was tough, and we probably laid off 30 to 40 people. Now we are building back up and adding headcount, so we are trying to figure out where we need the capacity. We have to make sure, though, that we are not enabling. Essentially, am I adding people because people are being lazy or because we are really that busy? You want to make sure you are doing the right thing and adding people to the right spots. We are trying to thoughtfully add people and capacity because then if things go south again you may have to lay more people off if they are not added in the right way.